The purpose of the Master Plan Program is to help client families integrate, organize and coordinate their financial, legal, estate and life planning advice. Helps families bring together all of their goals and strategies in a cohesive, integrated plan. Assembles a multi-disciplinary group of advisors consisting of a family’s existing advisors and/or Monument’s in-house team. 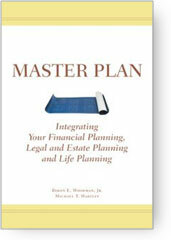 Integrates financial, legal, estate and life planning. During hands-on, interactive sessions, we help families define and/or clarify their goals, and develop a master plan to achieve them. We bring together all of a family’s advisors to ensure that everyone is working in concert towards the same objectives. We host regular review sessions to refine the plan, and ensure that the entire team stays on track. To learn more about the Program, and request a complimentary copy of the “Master Plan,” please contact us.